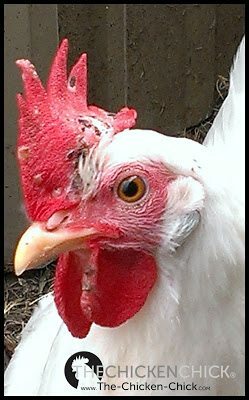 Fowl pox is a highly contagious viral infection in poultry that causes painful sores on a chicken’s skin. Also referred to as Avian Pox, Sorehead, Avian Diphtheria and Chicken Pox, it is unrelated to human chicken pox and cannot be contracted by people from birds. 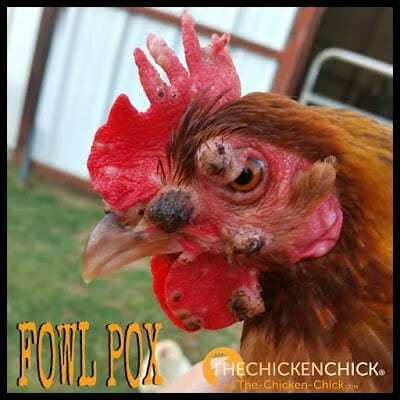 Fowl pox occurs in two forms, Dry and Wet pox and while there is no cure, Fowl Pox can be prevented and the symptoms, treated. 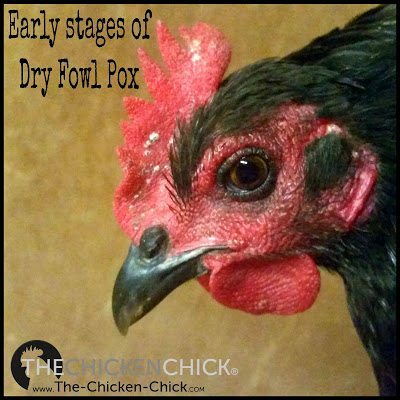 Dry Fowl Pox is a viral infection that affects a chicken’s skin in non-feathered areas, most commonly, the comb, wattles, face and eyelids. Wet Fowl Pox affects a bird’s upper respiratory system, eyes, mouth and throat and can be life-threatening. 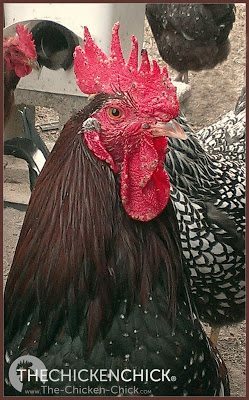 The virus is transmitted to backyard chickens by biting insects, most notably, mosquitoes. 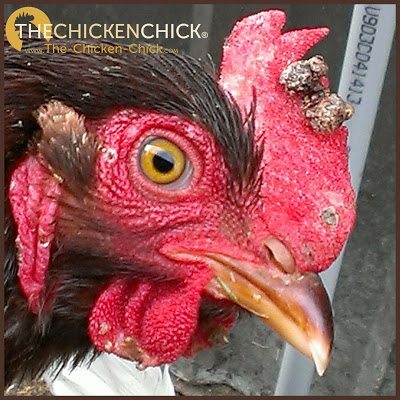 The virus is transmitted to other chickens within a flock through an infected bird’s feathers, feather debris, skin dander, sloughed-off scabs, scab secretions and blood (collectively referred to hereinafter as “hot debris“). 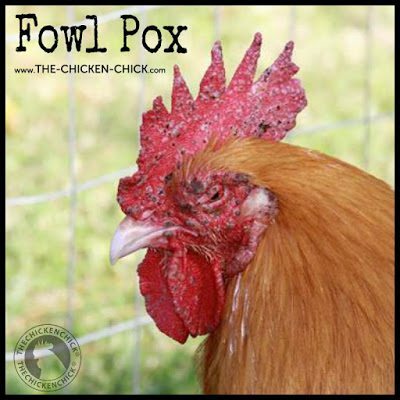 Fowl Pox is highly contagious & spreads slowly from chicken to chicken within a flock. The virus can persist in a flock for months, sometimes years, in hot debris. Susceptible birds can become infected when hot debris is eaten, inhaled or makes contact with skin wounds or mucous membranes (eyeballs and mouths). 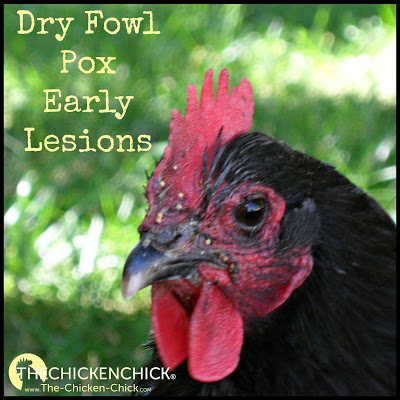 Initial stages of Dry Fowl Pox include ash colored, raised lesions or blisters on the comb, face and wattles. Blisters evolve into larger, yellow bumps and finally, dark colored, wart-looking scabs. The scabs eventually resolve, leaving scars behind. Some chickens acquire immunity, but others are susceptible to recurrences in times of stress. 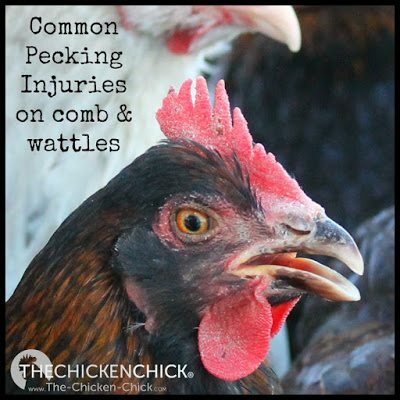 Don’t mistake common pecking injuries on combs and wattles for Fowl Pox. 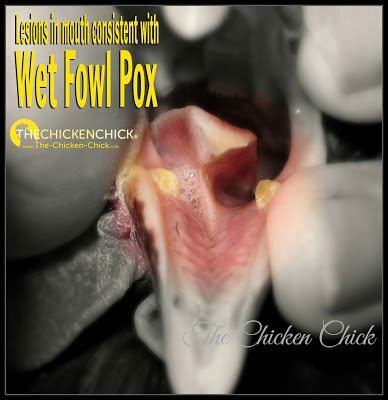 Chickens with Fowl Pox will often exhibit a drop in egg production, loss of appetite and/or weight loss in addition to the tell-tale lesions on the skin (dry fowl pox) or lesions inside the mouth and throat (wet fowl pox). Symptoms generally persist for several weeks in a bird and several months in a flock. -Practice good biosecurity to avoid introducing fowl pox to your birds from an infected flock on your clothes, equipment or shoes. –Quarantine new flock members properly. -Day old chicks and unaffected adults can be vaccinated against Fowl Pox. The wing-stick method is easy to do and very affordable. Consult your flock’s veterinarian or state agriculture extension service poultry agent for more information about vaccinating against fowl pox. Your state’s contact information can be found HERE. Once chickens have been vaccinated, they have permanent immunity. -During an outbreak, to limit the spread of the virus, clean and sanitize waterers daily, adding 1/4 teaspoon of Oxine per gallon of drinking water. 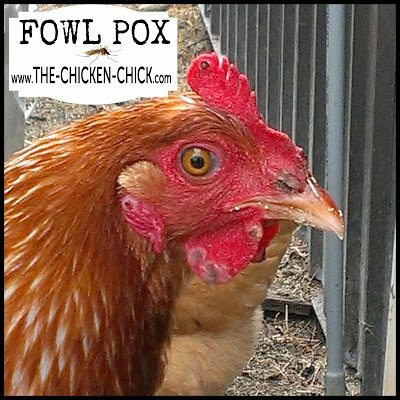 -Following an outbreak, clean and sanitize chicken coop with Oxine weekly for a month. There is no cure for fowl pox, but there are comfort measures that can be provided for affected chickens as well as preventative measures to avoid secondary bacterial infections caused by the lesions. Unaffected birds can be vaccinated during an outbreak. 1) Offer tetracycline antibiotics in the water to help control secondary infections. (see your vet for a prescription) In The Chicken Health Handbook, author Gail Damerow recommends 300mg of Terramycin per gallon of drinking water for 3 days followed by a vitamin supplement in the water, however, as of as of January 1, 2017, antimicrobials are only accessible by prescription from veterinarian under their care. Learn why HERE. 2) Treats scabs with a dilute iodine solution such as J. Crow’s Lugol’s Solution. 5) Clean coop and run with the objective of removing hot debris from the premises. 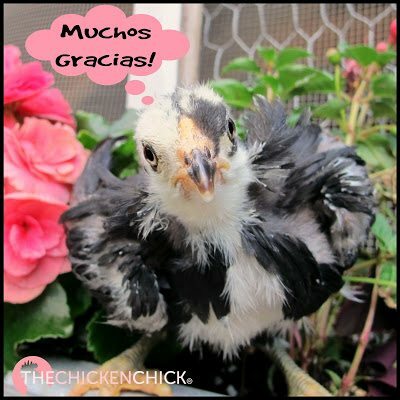 Many thanks to the following individuals for graciously sharing photos of their affected chickens with me for this article: Jennifer Sorensen, Jill Greenwell, Kim English and Nancy Campbell. We’ve got an outbreak. Those that have it bad are separated. The others with a touch of dry are still in “gen pop” and being treated topically with J. Crows and internally with an iodine solution in their drinking water. (The entire flock is drinking it, actually). That being said-is it safe to eat the eggs if they are drinking the iodine solution?